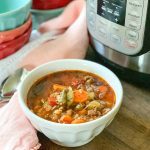 I’m loving using my Instant Pot more and more! 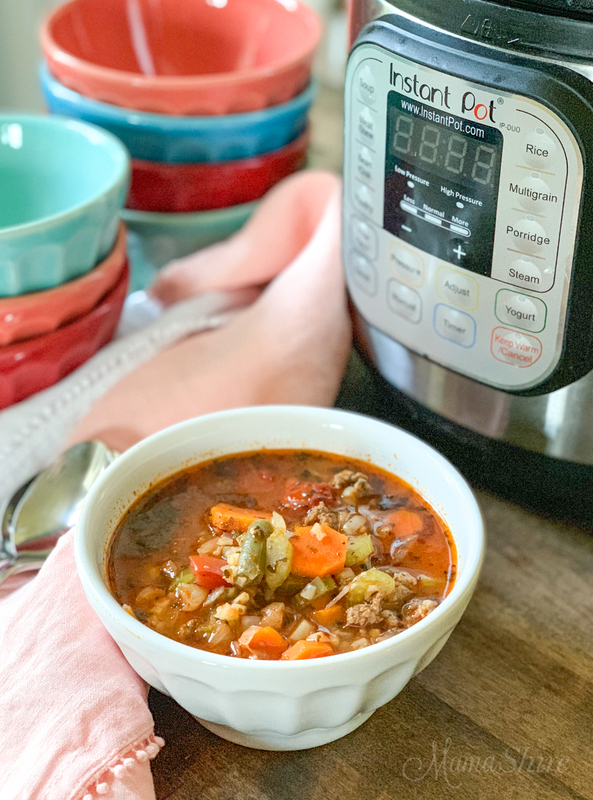 While it makes cooking meals go quicker, one of my favorite things about the Instant Pot is being able to set it and forget it. I don’t have to keep checking or stirring the pot. This vegetable soup is a family favorite, and with it’s variety of ingredients we often call it “Everything Soup”. It’s a great comfort food. I’ve looked for ways to make it easier and quicker to make by adding coleslaw instead of chopping cabbage and choosing frozen veggies where I can. 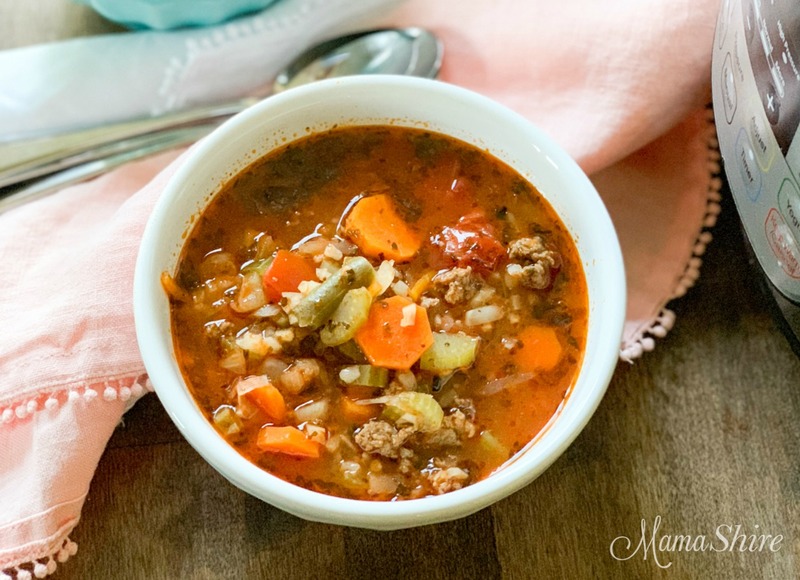 If you’re following Trim Healthy Mama this soup is an FP. Brown ground beef in the Instant Pot using the saute function. While the ground beef is cooking prepare the other ingredients. Add onions and garlic to browned ground beef and saute for a couple of minutes. Cancel saute function. Add the remaining ingredients. Place lid on pot and secure. Set manual setting at 3 minutes. After it finishes cooking carefully quick release pressure. Once the pressure is released the soup is ready. 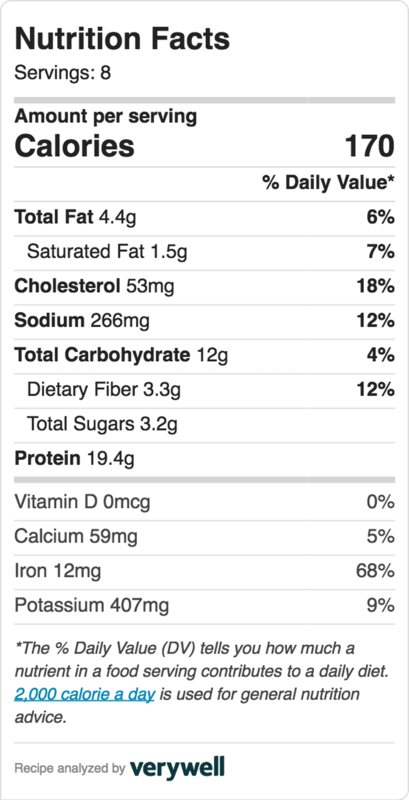 Be sure to check for gluten-free labels on cans and frozen foods. 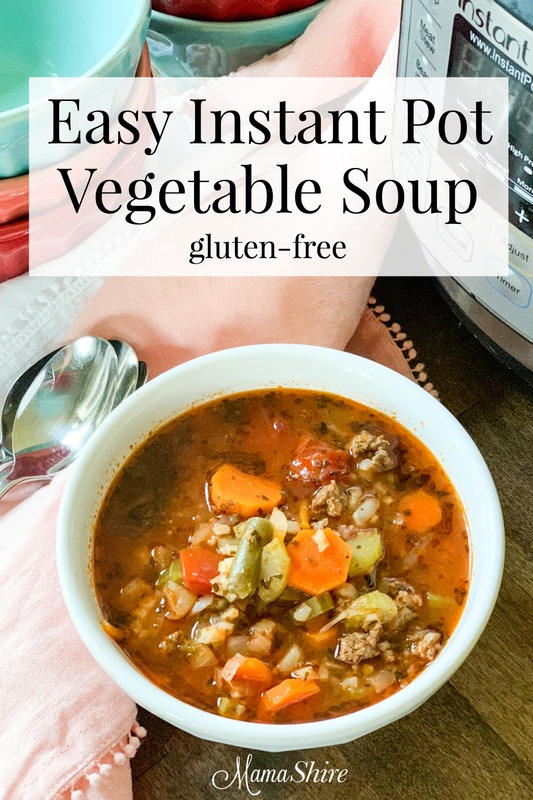 I hope you enjoy this Easy Instant Pot Vegetable Soup and I would love to see pictures if you make it! You can tag me on Instagram with @mamashire or add it to this pin below. 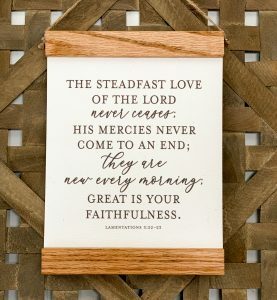 Save this pin to your favorite Pinterest board to keep for later. Our family loves this soup….even our pick eaters! I added some brown rice pasta, that I cooked separately, to my children’s soup. I’m so glad that it was a hit!